The oldest Prague´s pipe organ will be played during this concert by an award winning organist Aleš Bárta. Don´t miss the opportunity to visit the picturesque church in the Old Town Square and listen to the inspiring pieces of classical music. soprano of the National Theatre in Prague, Aida from the Arena di Verona and a frequent guest at leading opera houses as Vienna, Milano, Dresden, Paris, Rome, Berlin etc. World famous organ player especially known for his Bach recordings. One of the Czech Republic´s most acclaimed violinists and since the year 2000 he is the concertmaster of the Symphony Orchestra of Czech Symphonists. Have been to the concert twice. Spectacular Týn Church. The orchestra and soloists perfectly compliment each other. We particulary enjoyed the violin soloist. Highly recommend. 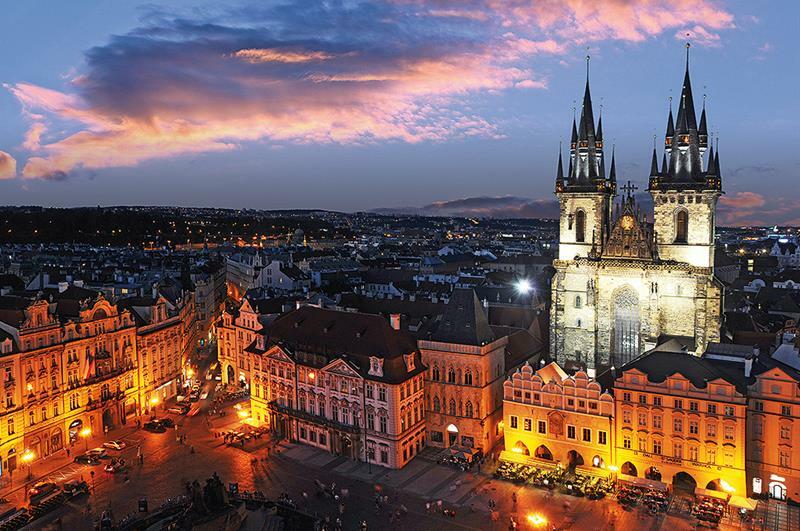 See other Prague´s classical concerts. 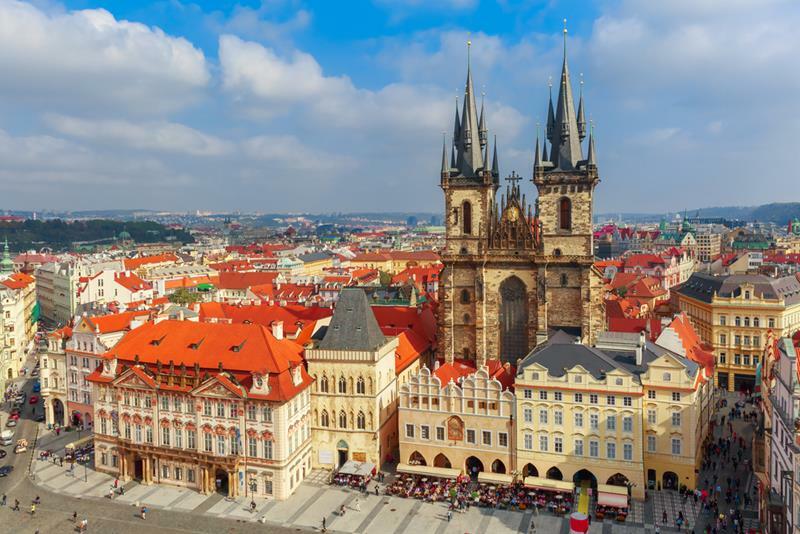 If you wish to be impressed by an astonishing atmosphere of a monumental Gothic temple, visit the Church of Our Lady before Týn, a spiritual center of the Prague Old Town with rich and eventful history. Originally, a small church was standing at the gate of "Týn", called also Ungelt, the foreign merchants court serving their community. 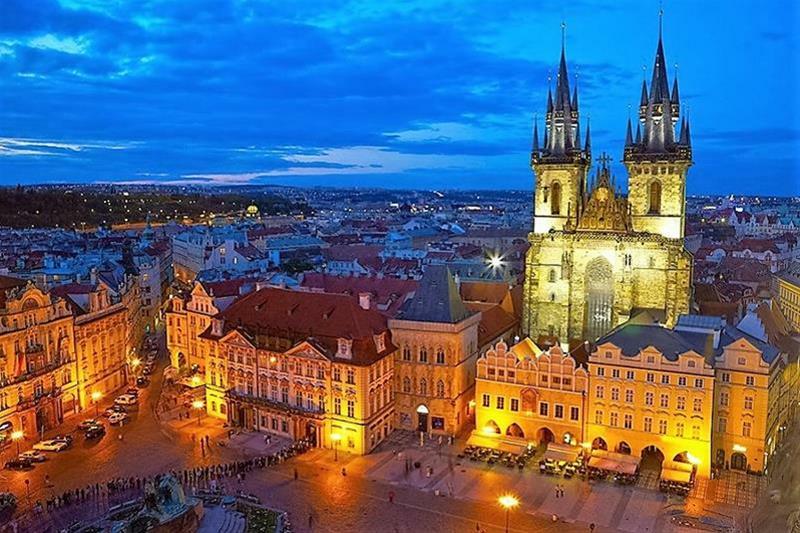 In the 14th century it was replaced by a magnificent temple, which became a counterpart to the Cathedral of St. Vitus at Prague Castle. In the Hussite times Týn church was the most important church in town. After 1620, the country was re-catholicized and the golden chalice of Utraquists adorning the facade was ripped off. The golden chalice was melted down and its gold is now shining around the statue of the Madonna. Both exterior and interior of the church are decorated with unique works of art: passion scenes on the tympanum of the north portal, altar paintings by the renowned Czech Baroque painter Karel Škréta and his contemporaries, pewter Gothic font and a unique Renaissance tomb of the famous Danish astronomer Tycho de Brahe. Concerts are held in the Týn church only sporadically, making use of the oldest organ in Prague (built by Johann Heinrich Mundt in 1673). Its unique sound attracts experts from around the world. the church is just next door! My family loved the concert! Amazing church, incredible performers, beautiful music and excellent price. Beautiful concert in gorgeous surroundings. This was the main event in our week long holiday in Prague. Truly spectacular. Impressive sound of the orchestra, who played with great joy and unision. Special praise goes to the solo violinist. Thanks for making our Saturday night an unforgettable one. The entire event was superior from the setting to the skills of the musicians. Hearing such beautiful music in an intimate setting is a unique experience. I recommend this event to others without reservation. Wonderful concert in the most beautiful church. It would be great if someone could introduce the performer and the songs they performed. The musicians were very good! The place is wonderful for classic music The places we sat, weren't good, because we just could hear the music. The tickets were the cheappest, but if there's a place that you can't see who is playing, I think it should better not be sold! The staff could be more polite with the public. Sometimes they were a little bit rude. Fantastic show! The place, the concert, the sound and the singer were amazing! If I come back in Prague, I will reserve again a concert like this one!! !